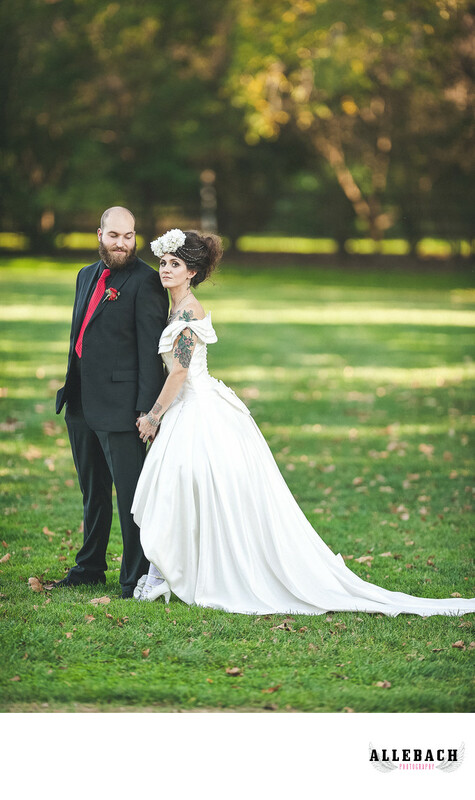 Are you looking for the best photographer for your tattooed and offbeat bride wedding? Look no further. Allebach Photography has more experience with offbeat and tattooed weddings than any other photographer. See the natural expressions. Feel comfortable on your wedding day. Wedding photography doesn't have to be painful. Mike Allebach loves to have fun with couples and capture amazing images. Choose the photographer Rock n Roll bride calls "The Original Tattooed Bride Photographer." As seen in Inked Magazine.